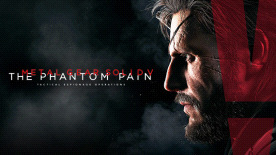 Introducing a new era for the franchise with cutting-edge technology, powered by The Fox Engine, MSGV: The Phantom Pain will give players a first-rate gaming experience, offering tactical freedom to carry out missions in an open-world. Set nine years after the events of MGSV: Ground Zeroes and the demise of Mother Base, Snake a.k.a. Big Boss, awakes from near-decade long coma. The Phantom Pain resumes the story in 1984, the Cold War shaping a global crisis. Snake’s journey takes him to a world where he is drive by revenge, and is in pursuit of a shadow group, XOF. One of the most wanted games of the year with it’s photorealistic visuals, open-world design and feature-rich gameplay, MGSV: The Phantom Pain will leave it’s mark as a hallmark for games, for it’s cinematic storytelling, emotional themes and immersive tactical gameplay.